ServerCare, Inc., originally began in 1992 as Canty Database Consulting (CDC). At the time we were in the business of Oracle database consulting, and marketing a database management tool named SQL*Map for VAX/VMS platforms. Over time the consulting side of the business proved more viable than the software side, particularly since fewer clients were using VMS-based systems, and the SQL*Map product was dropped in 1994. About the same time our client-base shifted to more open Unix systems. The consulting arm of CDC continued to thrive, and had many successful engagements with major organizations such as Cisco Systems, Jacobs Engineering, DataTools, Zeneca Ag Products, and others. With the advent of the Internet, the core business at CDC began to shift, focusing more and more on database and platform management & tuning, utilizing secure VPN connections over the Internet. In early 1999 we decided to change our name to ServerCare to reflect the new business mission of providing remote database and system management for mission critical systems. Shortly thereafter we expanded into neighboring office space, doubling the size of our facilities. We continue to grow and expand, and are actively adding staff. ServerCare, Inc., has the talent, technology, and equipment to insure that your databases & environments are running at peak performance with a minimum of downtime. Please fill out a Request for Information and let us provide you with a custom quote. 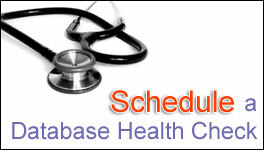 ServerCare specializes in managing databases and the environments in which they run. Oracle is one of the largest technology companies in the world, and their database enjoys the largest market share of any database vendor. While database software is extremely flexible and robust, it is also extremely complicated, and it is no longer enough to know just the software – knowledge of the applications, operating system, hardware, network, and the cloud have become critical to uptime. ServerCare can provide all of this expertise with one-stop-shopping. We can take on as much or as little of the day-to-day operations of your critical systems, and can even provide additional services such as training, mentoring, database design, code review, and cloud or database migrations. Other Oracle technologies such as PL/SQL, Pro*C, OCI, Real Application Clusters (RAC), Data Guard and “old fashioned” standby databases, Forms and Reports, Enterprise Manager (OEM), Oracle Apps Server/WebLogic, MySQL, BI/OBIEE, E-Business Suite, Golden Gate, and PDB Container Databases. ServerCare has the talent, technology, and equipment to insure that your database systems are running at peak performance with a minimum of downtime. 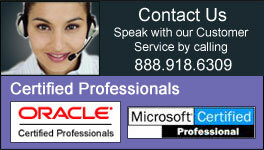 Please click on “Contact Us” and let us provide you with a custom quote.